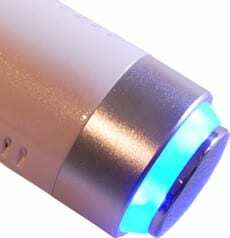 Radio frequency MESIS Rf Beauty, for professional beauty, complete, compact. 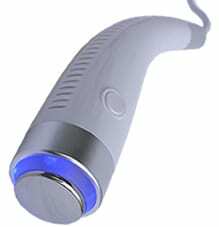 Professional device for radio frequency face and body, with three-pole handle, bipolar and cryo to finish the treatments. Professional device for radio frequency face and body, endowed with I manipulate tripolare, bipolar and crio to finish the treatments. 3 handpieces for the rejuvenation of skin on your body! The only one with “refreshing finisher“. The radio frequency Mesis Rf Beauty is the only one that came with the innovativeCrio handpiece, exactly what you need after a hot seat: surface refreshing to end exclusive comfort! 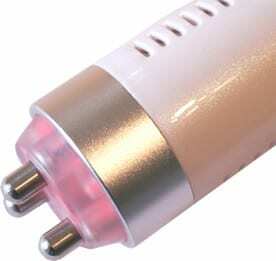 With infrared lamps for surface heat. 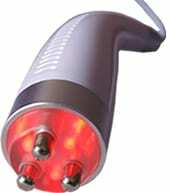 Handpiece pole for absolute precision in the treatment of facial skin; tank to the infrared presence i salso stimulated and warmed the most superficial part of the skin, not to leave anything to chance! For professional beauty, complete, compact. Modern, advanced, effective and safe. The new radiofrequency Beauty MESIS has 3 handpieces including the innovative special treatment “CRIO”. The Radiofrequency Rf Beauty MESISis now the professional machine for beauty treatments with the best price/performance ratio. Rf Beauty MESIS generates rasio frequency waves to the beauty, anti-aging of the skin, both of yhe face, neck and decollete’ that of the whole body; also promotes vascularization and re generation of skintissue by eliminating the imperfections caused by exposure to sunlight and aging skin. RF Beauty by MESIS is dedicated to a facial and body treatments, both for men and for women. A simple sutup for immediate use, once turned on the Radiofrequency RF Beauty MESIS simply adjust the intensity, low for the face with the handpiece pole (1 to 5), average body with the bipolar handpiece (6 to 8), massage the area to be treated with the cream supplied, and slide the handpiece in the area to be treated. Tank to the flow of Energy and heat generated deep, stimulates circulation and absorption of the active ingredients in the creams (only use for radiofrequency specific creams). Thanks to the combination of the Energy flow of the radiofrequency and infrared, you can treat the skin of the whole body by exploiting the heat penetration the dermis which accelerates blood circulation and collagen re generation. Thanks to radiofrequency heat is formed in the depth and temperature of 45°/60° is generated more collagen, thereby recovering the skin’s elasticity to combat stretch marks. With the heat and the increase inlocalized blood circulation, it also adds the draining effect and symbolization of wastes and fluids, useful to fight skin orange peel. Three contact points for a more gentle and accurate passage of Energy, specific for delicate and sensitive skin such as that of the face and of certain areas of the body. Tank to the specific three-pole handpiece for the face, heat is generated in depth, leaving the lowerthe surface temperature, thus obtaining the stimulation of collagen without damaging the surface layer of the skin. (Also tank to the emission of alternating energy –specific to the handpiece pole – which takes place at 100% then to 50% and at 30% set energy). The combination of infrared and radiofrequency allows the treatment of facial wrinkles, neck and chest, lift the skin and get a real lifting effect, also useful to treat unsighhtly “double chin”. The temperature difference at the end of treatment, it is exactly what you need to effectively stimulate blood flow in the treated areas. With CRYO handpiece which completes the equipment of the radiofrequencyMESIS Rf Beauty,you have the opportunity of “brush up” the treated areas, lowering the surface temperature, creating a vasoconstriction followed by vasodilation reflected ,thus stimulating blood flow. Accordingly CRYO handpiece i salso very useful to complete the treatment sto combat cellulite and localized orange peel skin. The lowering of the temperature takes place through a Peltier cell, calibrated at a fixed temperature and not for adjustable safety requirements. RadioFrequency is contraindicated in pacemakers or large metal prostheses in patients already undergoing major lipofilling, pregnant, in the presence of collagen, sensory neuropathies and damaged skin by trauma or infection. 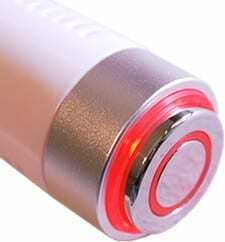 The device is suitable for a non-invasive use. The device should only be used on intact skin. We do not recommend the use of the device in combination with other electronic devices, especially with those that are used for the supporto f vital functions. It is advisable to carefully read the instruction manual before using the unit. Do not use the machine withouth first checking with your doctor if present health problems. Before each use, always check the integrity of the device, which is essential for the conduct of therapy; do not use the uniti f it has defects or malfunctions of the switches or buttons. The unit must inly be used with the speakers supplied with the original budget, and following the procedures descrive treatment. Never leave the appliance within reach of children or infirm persons without supervision. Do not use accessories or attachments not provided by the manufacturer. Do not use the device in the presence of flammable misture, such as anesthetic misture, oxygen, potassium, nitrose, etc. Keep the unit, the power cord and the speakers away from heat sources. Keep the speaker, when powered, no electrical or electronic device, or come closet o it in case you are moving and you are using the device on yourself. Warning: before use read the contraindications and warnings in the manual supplied. Make sure the uniti s positioned on stable floors. If doubts or concerns you should seek medical attention.